The perfect gift for your Mum this Mother’s Day. 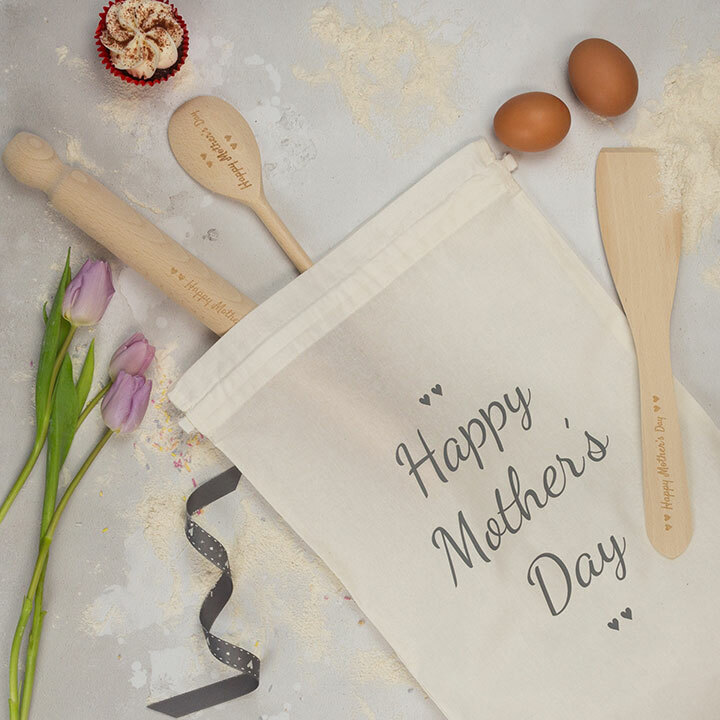 Full sized set of solid wood baking utensils, personalised of course with any message you like (up to a max of 30 characters). Great for Mum’s or Granny’s who love to bake! Aprons and bags are available to match your personalised baking set, personalise to match the personalisation on your baking utensils or choose something completely different, it’s up to you. If you have opted for the hearts on your utensils we will include the hearts on your apron and/or bag. Neck halter is adjustable. 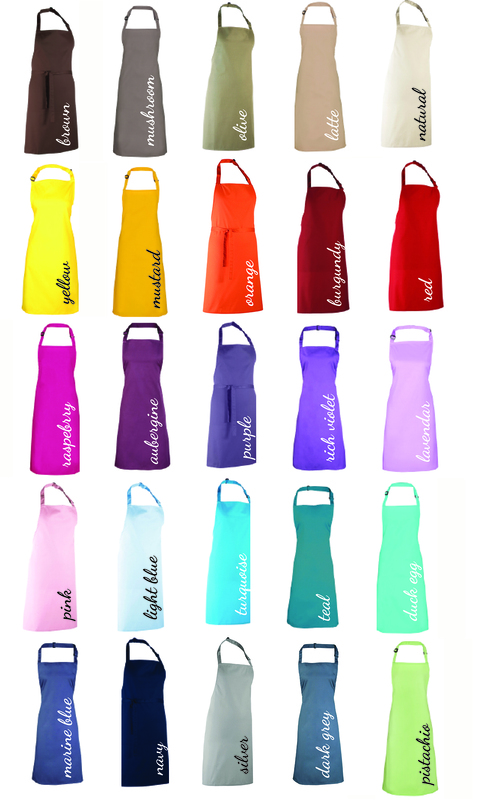 The optional cotton drawstring bag accompanying the set will feature your text in the colour of your choice. Perfect for storage yet pretty enough to be kept on show! 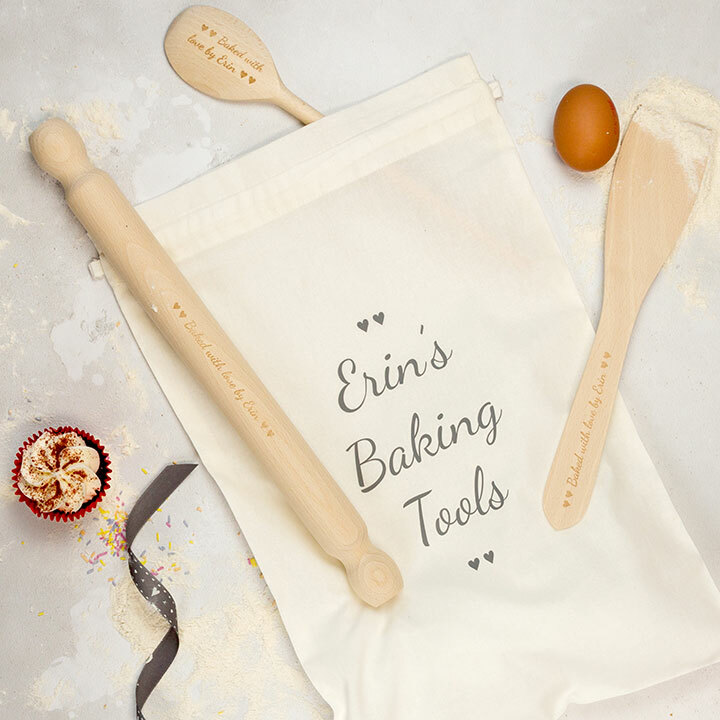 Please note that pastry brushes are not included. 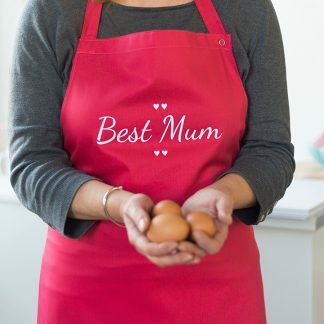 If you are looking for a similar set for very small hands please see our Personalised Childrens Baking Set. 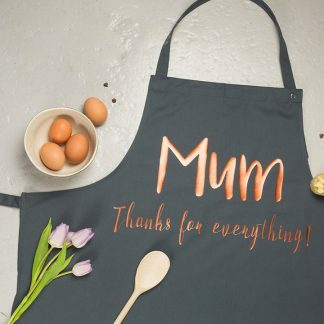 Personalise the apron and or bag to match the personalisation on your baking utensils or choose something completely different, it’s up to you. 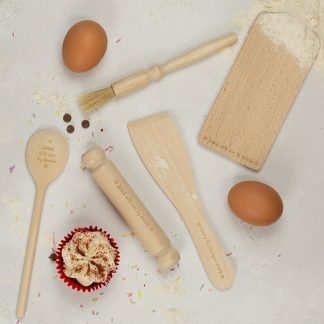 The wood these utensils are made from has been sourced from sustained beech forests in Eastern Europe. 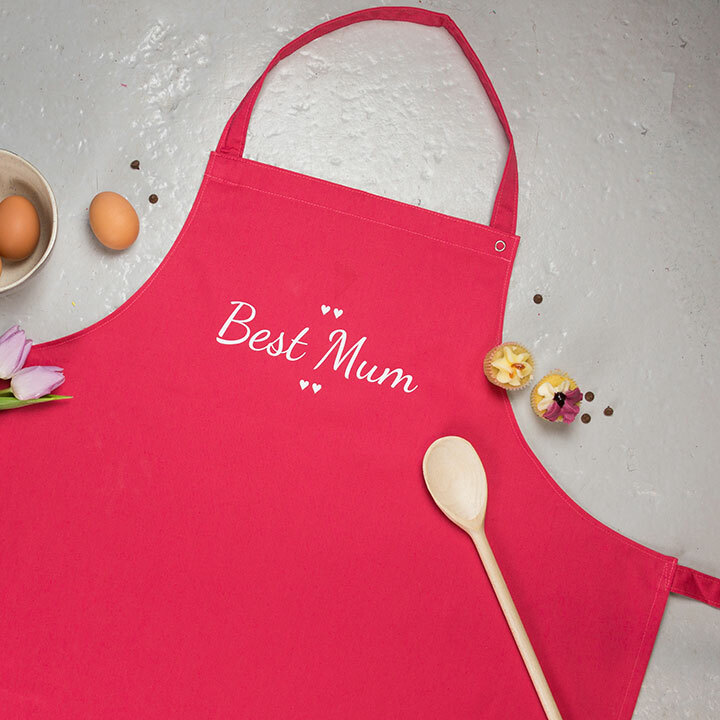 The apron colourway shown in the image is watermelon with white text. Apron: length from top of bib to bottom of apron 87cm. Neck halter is adjustable. 65% polyester, 35% cotton, suitable for machine washing.